I wait for cheezy holiday movies all year! Hallmark, Lifetime, and 25 Days of Christmas! Come one, you know you watch ALL.THE.TIME. too! They just define the Christmas season for me. I usually don’t watch TV, but this time of year, if there is a television, it better be tuned to a holiday movie! I just like having them on in the background, emanating their holiday spirit through the TV speakers. Now, there are some movies I just have to see to complete the season and make it really feel like Christmas. Then there are others that…well, I could do without. But let’s start with the good, the best, my must-sees! A Year Without A Santa Claus. Well this is obvious, right? Who doesn’t love Heat Miser and Snow Miser! They are so cute and creepy and perfect. This movie is so good and I always make sure I don’t miss it! I’ve already seen it twice! Holiday In Handcuffs. I mentioned this one in this post. Even though it is SO cheezy, it is also one of my favorites! Out of boredom two weeks ago, I played this on Netflix to bring in the cheer! It always just puts me in a good mood! The Christmas Box. This movie is so legit! I’ve only seen it a few times (it’s really hard to find, let alone catch on TV), but a few times I was lucky and got to see it! It remains one of my favorites and I really hope I get to see it this year! Noel. If you want to cry and see the saddest Christmas movie ever, watch this! It is so terrible and never fails to make my mom and I cry. But it’s also so good and has such a beautiful message! Just looks at the cuteness too! 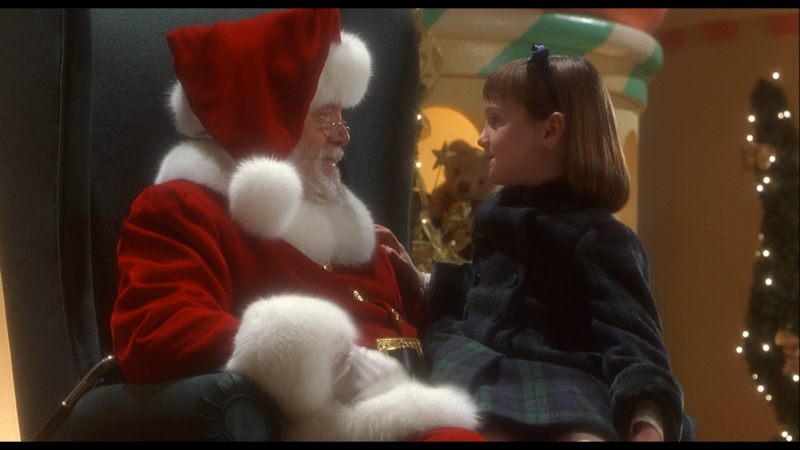 Miracle On 34th Street (1994). The new one, this one, with the girl from Matilda. Love it! Watch it! Classic! A Carol Christmas. Okay, I know! Another really corny movie and this ones with Tori Spelling! But really, I love this movie so much! The best “Scrooge” story ever! Rudolph. The good old original 1964 movie! If this isn’t a classic, I don’t know what is! Why don’t they make movies like this anymore? Why!? Once Upon A Christmas. (And the second one as well!). This one is just so good! I can’t get enough! It just defines the Christmas holiday season for me! Thank you Kathy Ireland! The Sons Of Mistletoe. This is such a good movie! A boy’s orphanage, a crisis, a love story, it’s perfect! Ri¢hie Ri¢h’s Christmas Wish. This is by far the best Richie Rich movie in the series! So dorky and I’m a little embarrassed to put it on here, but I love it! And now the movies that just…should not be aired. The Polar Express. This movie. Just look at the animation! It’s horrifying! When this comes on I have to change the channel. I can’t stand the Polar Express. One of the worst movies ever created! Ah! The Nightmare Before Christmas. Why is this even played during Christmas season? It is terrible and SO horrifying! I just don’t get it. No. This movie has creeped me out my whole life. I don’t think I’ve ever actually seen the whole thing, but I don’t have to know I don’t want to! 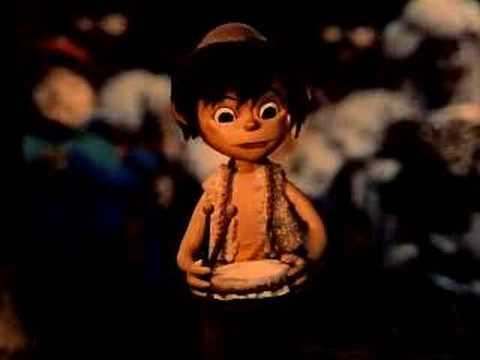 The Little Drummer Boy. I just can’t. This movie just leaves me so, ugh! It’s hard to explain, but it is not pleasant! A Christmas Carol (2009). Same thing with the creepy “modern” animation here like the Polar Express. I just can’t do it! It freaks me out! I’m pretty sure this movie must scare little children…and me. Elf. Okay, I can already see myself getting blasted for this one, but I just don’t like it. I really don’t like comedies in the first place, but this movie really isn’t funny, it’s annoying. I saw it for the first time back in my terrible English class sophomore year of high school right before we left for break. It made me hate my teacher even more! Haha! + What is your favorite(s) holiday movie? + What is your least favorite(s)? I’m totally the same way – not much for t.v., but as soon as December 1st hits – watch out ’cause it’s holiday movie marathon time!! I haven’t seen a few of your favs, I’ll have to check them out. I do really like Elf. I think my favourite all time Christmas movie is Home Alone 2. I don’t know why – it’s kind of a weird choice, but I love it. I also really like Christmas in Handcuffs – you would probably also really like 12 Dates of Christmas. I literally have a day of mourning when the Chrustmas movies are over! Haha, Home Alone just really annoys me. It’s okay to see a few times but then it get’s so over played. Totally need to see 12 Dates then! Ah! I haven’t seen most of these, to be honest. But I don’t have any sort of TV service except Netflix and I’m usually busy binge-watching tv shows during the Christmas break lol. My favorite holiday movie is Love, Actually. I find things I missed about it before every time I watch it, but it’s DEFINITELY not a kid-safe movie! I really need to see that! I feel so left out! Funny– I haven’t seen half of those! Not even 1/4 of them. I guess I don’t pay attention much to Christmas movies. The only ones I can get over here in Malaysia are the Lifetime specials, and although I’ve recorded a few just to get in the spirit, they are so terrible! Last weekend my husband and I went to a double feature showing at the movies. They played the original Christmas Carol and Christmas in Connecticut. Christmas in Connecticut is one of my new favs!! Great romatic comedy. I totally have not seen Christmas in Connecticut! Need too! Would you believe I’ve only seen two movies on this list? Rudolph and Elf, which is my FAV. Funniest movie EVER! Oh I agree with you on SO many of these movies – and now I have a heap to add to my to-watch list! I love Rudolph and A Miracle on 34th Street. Classic, wonderful movies. Good picks! The others I haven’t seen, but I’m going to try Noel. Funny, I would put all of the movies that you don’t like on my like list, except for the Little Drummer Boy. I don’t even like the song. The Polar Express is such a wonderful movie, I cry every time. My favorites: Elf, A Christmas Story, It’s a Wonderful Life, The Holiday, A Charlie Brown Christmas, Polar Express, Christmas with the Kranks, Home Alone, Miracle on 34th Street, The Santa Claus, The Grinch with Jim Carrey, Christmas Vacation,and many others that I can’t think of at the moment. Don’t like at all: Bad Santa and anything with Muppets. The Nightmare Before Christmas is more of a Halloween movie, in my opinion. But I love it, and I think Tim Burton is a genius. Noel is really hard to find anywhere! You won;t find it on TV, that’s for sure. My mom has it recorded on an old VHS tape! Ah! That song, yea! Whenever it would come on in the car…I would freak! I hate it so much, haha! 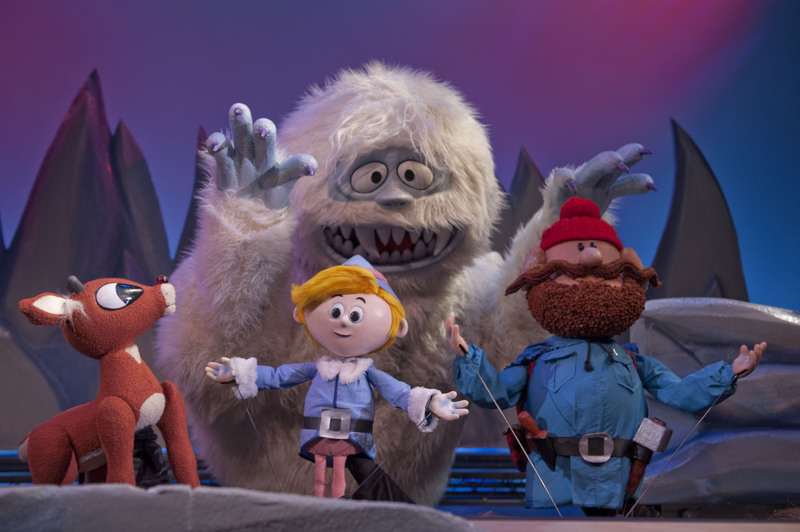 I don’t like the Christmas story…it is so OVER played (i.e. the all day marathon) and it just…it’s not good, haha! I need to see this Bad Santa movie, no one seems to like it! I agree, A Christmas Story is overplayed, but I only watch it once a year and I adore the simplicity of those times, and I love Ralphie. I love old school Christmas. I like White Christmas and the Holiday. And I’m a fan of Love Actually, although less and less the more I think about it. Great list. Noel is a sad one…agreed. Noel 🙁 It is never played, but my mom has it on tape when she recorded it on TV YEARS ago! On another note, I had no idea there were so many Christmas movies out there! Did you see the Grumpy Cat Christmas movie? It didn’t seem to really be about Christmas at all but it did take place around Christmas time and starred Audrey Plaza as Grumpy Cat so it was worth a watch. It’s pretty bad though! And no, I’ve never seen nor heard of this Grumpy Cat one, haha! Love the miracle on 34th Street from 1994 🙂 I think it’s so much better than the older one! Great list! Right!? That one is so good! There are so many movies on your list that I haven’t seen! I really love Love, Actually, The Holiday (although I’ve seen it way too many times), all the Home Alone films, and Frosty. I agree that the animation in The Polar Express is off-putting but the soundtrack is SO good! Give the suite from the Polar Express a listen, it’s full of Christmas cheer! Eh, maybe 😉 As long as it’s just the music and I don’t have to see it, hahahaha! I think my favorite Christmas movie is Joyuex Noel. It is on the depressing side though. I’ve never actually seen all of Nightmare Before Christmas either, but to me it seems much more like a Halloween movie than a Christmas movie. That’s how I would catogorize it….but ABC Family insists on playing it sooo much during December! I totally forgot about Eloise at Christmas time. This movie used to be one of my favorites when I was younger. My least favorite is Elf only because my brother insists on watching it twice a day for all of December for the last 5 years. Way too much elf if you ask me. Haha, I think that would make anyone hate it! I haven’t seen some of the ones on your Favorites list! I think I need to go search Netflix for them now! Yes you do! Netflix doesn’t have a lot of them though :/ Makes me sad! Yea, I didn’t think it was THAT much of a Christmas movie to begin with. I thought it just took place in the winter time and the movie came out during the holidays, haha! Aw man! There was so much more to my original comment and it mysteriously disappeared?! Too much to retype from my phone but thumbnail: My faves are the old stop-animation (Rudolph, Frosty), I LOVE Tim Burton and NBC, and I *really* want to see Eloise. I adored those books! Yes! The old stop-animation ones are the best. I wish they still made those movies! Eloise is the bomb! I’ve never read the books though 🙁 I guess I was a deprived little girl! Love Actually is hands down my favorite holiday movie! I’ve lost track of how many times we’ve watched it. Worst…your list is pretty good but you need to add Jingle All the Way! Alright I totally need to see Love Actually STAT! Haha! This post was amazing! 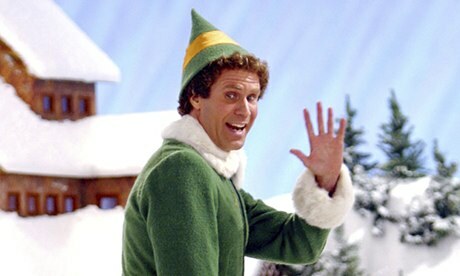 I am right there with you on a lot of your favorite and least favorite Christmas movies. Holiday in Handcuffs is a classic. The Nightmare Before Christmas has always looked waaaayyy too creepy for me. I absolutely LOVE the Hallmark channel Christmas movies and am so sad you don’t get it at your dorm! They are so cheesy and predictable, but I love them! My favorite one from this season is called “Christmas Under Wraps” with Candace Cameron-Bure. You should definitely look it up and see if you can get access to it online! Don’t worry, I’ll have access to Hallmark in T-5 days! YAY! I really enjoy the classics from the 60s-80s. Frosty, Rudolph, things like that. Home Alone was my favorite for the longest time when I was younger. Elf is actually a fave in our house and the Polar Express is near and dear to our hearts. Two years in a row we were able to take kiddo on the actual Polar Express the movie was modeled after. Well I guess that is cool! Haha, to actually go on the train. But alas, I still can’t stand it! Well I will at least WATCH Elf if I have to 😉 It’s way better that the other one, haha! That movie is SUCH a good classic though! I love it all! I’ve never seen most of your favorites! I’ll have to get watching 🙂 How about the Home Alone movies? I love the first 2! I’m not a Home Alone fan. They are just to OVER-played! Those classics are the best Christmas movies! Everyone needs to watch them! I have never heard of that one! I was always a big fan of Holiday in Handcuffs Haha I totally get the freaked out feeling of modern animation, but I do like Polar Express just playing in the background. One of my all-time favs will always be Christmas Vacation! I can’t even have the Polar Express on the TV! It was on last night and I had to switch to the Food Network 😛 Haha! Christmas Vacation is always a good one! I don’t think I’ve even seen half of these! My favorite is It’s A Wonderful Life (I love old movies). I can’t think of a dislike right now but I def would not like anything scary or creepy associated with Christmas! Never saw the Nightmare before Christmas. 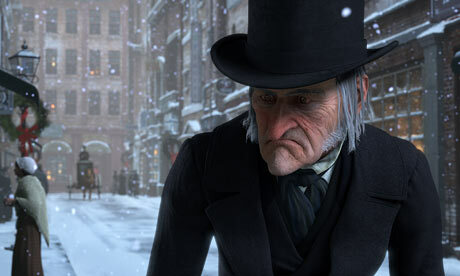 That new A Christmas Carol is definitely creepy! I watched parts of it last year! My faves are National Lampoons Christmas Vacation, Mickey’s a Christmas Carol (or is it Tale? haha), How the Grinch Stole Christmas (saw a bit of it the other day! ), and Four Christmases. We watched some of it last night when it was on TV! I haven’t really gotten into Christmas this year. Maybe it’s because of moving from where snow used to exist to where it doesn’t! Keep Nia away from that movie, haha! So scary! National Lampoons is a classic! The Jim Carry Grinch Stole Christmas scared me when it came out! I refused to go to the movies with my family to see it, haha! I love so many obscure ones! They need to play them more! Like the Christmas Box…that one is SO good, but never on! Love Actually is my favorite and Bad Santa is my least liked! I really need to see Love Actually! O boy…I just can’t do it. TOO MUCH creepiness, haha! Oh gosh I don’t even know if I’ve seen any of these! I agree with Emily that Home Alone would probably be my favorite, if it counts as a holiday movie. And some of the older holiday classics are good. I have a limited attention span for movies! 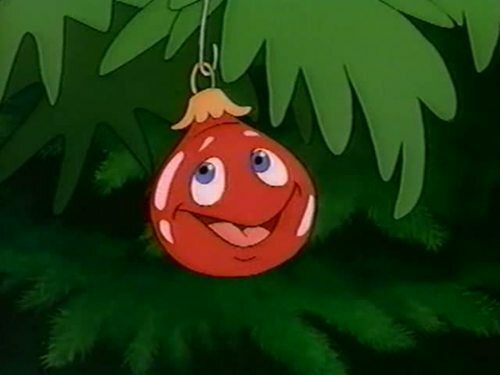 My hands down favorite was the muppet christmas special from when I was a kid, not even sure if you can find it anymore! ALL of the classics are good, but they never get played enough! Haha, I have no attention span for movies either! But I ALWAYS have them on in the background! I too am not into Elf! I have never understood it! **High Five** Really, it is such a weird….not good…movie! Haha! The Muppet Christmas Carol!! So fantastic, my sister and I watch it every year. Home Alone and While You Were Sleeping are two other favorites that take place during the holidays. Ah, the muppets creep me out too, haha! I’ve never seen While You Were Sleeping though! Oh girl I gotta disagree with you on Elf 😉 I also love Home Alone, but I guess that’s not technically a Christmas movie. No holiday season is complete without watching some Heat Miser and Cold Miser! But yea, heat miser and cold mister are THE best! I like Love Actually though? :D?? YOU’VE NEVER SEEN RUDOLPH!? Frosty? Any of the classics? I don’t believe you! I apparently had a super deprived childhood!? o_o We were banned from TV at a young age! :O!!! Haha! Frosry is really sad 🙁 But I love him! Farrah, Love Actually is my favorite too! LOVE LOVE LOVE ACTUALLY IS MY FAVVVVVVVVE. Haha! I’ve never seen it! Whoah there are so many here I haven’t seen! I think I have a lot of catching up to do… TOTALLY with you on the Polar Express – it’s really bloody boring too! And I won’t go ape over the Elf bashing, but Nightmare Before Christmas is amazing! I do always think if it as a Halloween flick, rather than Christmas though… Great list! When I started this list I had like 3…and then I kept remembering more and more that I loved! I know I am forgetting some, but these cover the absolute best! Haha! It is boring! It is just a gloomy creepy (not kid-friendly by any means) movie! Polar Express is hands down my least fav Christmas movie!! !